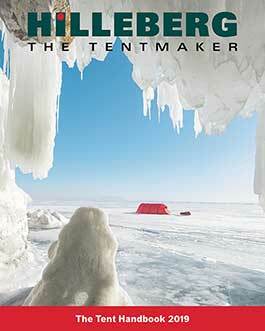 Hilleberg the Tentmaker prides itself on making products with the highest quality materials and workmanship. We offer a comprehensive warranty against material and manufacturing defects. Since laws and regulations sometimes differ, warranty coverage may vary from country to country. For the specific details of our warranty in your region or country, please contact your dealer or the appropriate Hilleberg office. Please note: Our warranty does not cover damages from ordinary wear and tear, the effects of UV exposure, accidents, inappropriate use or handling, or damages resulting from the user’s failure to care properly for the product. For any repairs not covered by the warranty, we will charge a reasonable rate. To provide the best possible service to our customers we have a number of service partners around europe that helps us with repairs and other services. Both for hygene reasons and for the protection of our repair equipment, tents sent to us for repair work must be clean and dry. We reserve the right to return dirty tents without effecting any repairs. Click here for instructions on how to send us your tent. We completely trust our service partners listed here. All of them have received extensive training and education from Hilleberg, and use only original parts and materials that we provide. We are certain that they will do an excellent job on any of your repair needs.